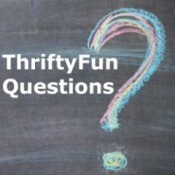 This page contains thrifty, do it yourself, quilt pattern craft projects and tips. Making a Chicken Scratch QuiltWhere can I get the patterns for the chicken scratch quilt? Looking for Dahlia Quilt PatternI have looked for this pattern, even on amazon.ca, but so far no luck. Does any one know where to find one? Instructions for LeeWards Appliqué QuiltI received quilt patterns from a 80 year old friend that got the quilt patterns from her mom. They are LeeWards pattern 8-9535 (Poppy) and Lee Wards pattern 8-9519 (American Beauty Rose). I have the printed colored material for the appliqués, but she did not have instructions for putting the flowers together. Patterns for Chicken Scratch QuiltThree of the chicken scratch blocks are on the site. Where can I find the remaining 6 blocks? I have been looking for a couple days for them. Where can I find a close up of the remaining 6 blocks? WonderArt Turtle Quilt PatternI am looking for the turtle quilt pattern #1285. Determining the Age of a Quilt TopHow can I date a pattern that I believe is a Lee Ward's applique quilt top?